“Secondhand smoke” describes the fumes in the air that result from someone smoking tobacco. “Sidestream smoke” (fukuryūen) comes off the tip of the cigarette itself rather than out of the mouth of the person smoking it. 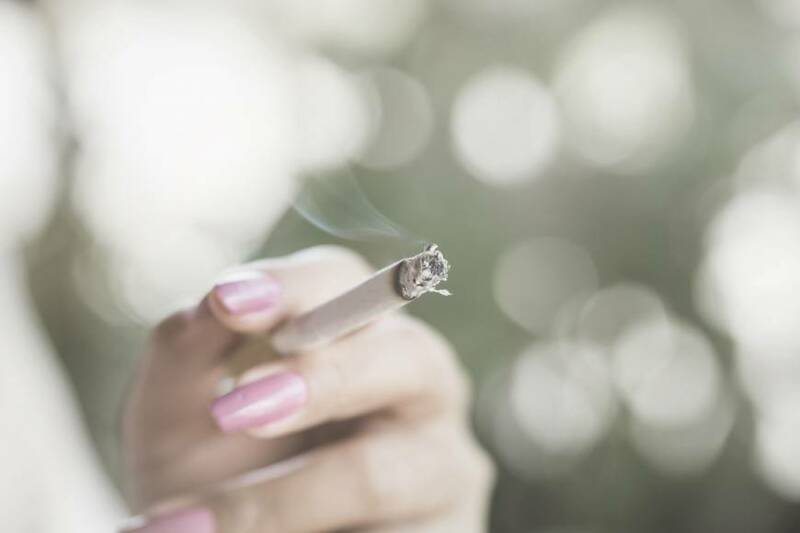 Since sidestream smoke is estimated to make up about 85 percent of environmental tobacco smoke, it is the main component of secondhand smoke and, therefore, deserves greater scrutiny. Such scrutiny has been lacking in Japan, as suggested by freelance reporter Tetsuo Jimbo’s reaction to health ministry findings he produced during a recent installment of his web program, “Video News.” The health ministry says that sidestream smoke contains 1.27 milligrams of nicotine, 34.5 milligrams of tar and 148 milligrams of carbon monoxide — the harmful substances in tobacco smoke. In contrast, mainstream smoke, which people inhale when they smoke a cigarette, contains 0.46 milligrams of nicotine, 10.2 milligrams of tar and 31.4 milligrams of carbon monoxide. Jimbo said he was shocked by these differences. If one of Japan’s most knowledgeable journalists admits he wasn’t aware of the greater dangers of sidestream smoke, which informs other countries’ public smoking bans, then it’s likely the average Japanese person isn’t aware of them either. Keeping the public ignorant of these hazards appears to be the strategy of the ruling Liberal Democratic Party in its quest to weaken smoking restrictions, a key component of proposed revisions to the Health Promotion Law. The health ministry, which estimates that 15,000 Japanese a year die from the effects of secondhand smoke, had wanted to prohibit smoking in all public places by 2020 in accordance with International Olympic Committee guidelines, but the pro-tobacco faction of the LDP has successfully stymied those intentions. The final plan released by the ministry on June 1 allows restaurants and bars to permit smoking as long as it’s done in separate smoking sections. As the World Health Organization has stated, separate smoking sections do nothing to prevent patrons — smokers and nonsmokers alike — from passively inhaling sidestream smoke. Anti-smoking activists, however, have been encouraged by the Tokyo Metropolitan Government, which is considering draft legislation that prohibits smoking in most restaurants and drinking establishments in order to protect employees, who, unlike customers, cannot choose to avoid a smoke-filled environment in businesses that allow smoking. Tokyo will likely pass such an ordinance because the LDP is a minority force in the assembly. The contrast between measures taken nationally and those passed in the capital lies at the crux of the vernacular coverage of the issue, rather than the health promotion idea at its core. The nominally liberal Asahi Shimbun’s reporting of the Diet bill focuses on how the LDP is complicating discussion of smoking matters by splitting hairs with regard to restaurant or bar size and the implementation of an indefinite interim period, during which businesses can decide how to address a possible smoking ban. In its coverage of the Tokyo bill, the newspaper talks about party politics. The country’s main financial newspaper, the Nikkei Shimbun, focuses on the economic ramifications of a smoking ban, in particular how much money the relevant leisure industries will lose (about ¥840 billion). And while the Nikkei does mention the WHO and antismoking groups, it’s in the context of smoking bans in other countries that have not seen a net negative economic impact as a result. 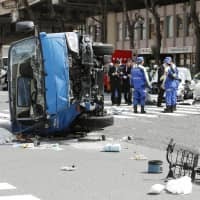 One of the few recent articles about smoking regulations that touches on the dangers of secondhand smoke appeared in the May 31 Asahi Shimbun, which surveyed policies in local government facilities. In most cases, smoking is banned in areas open to the general public, but allowed in areas that are accessed only by government officials, thus implying that civil servants and politicians have the right to ruin their own health but not that of other people. That should be the central point in any discussion of smoking regulations, but as Shigefumi Matsuzawa, a member of the Upper House who represents Kanagawa Prefecture, told Jimbo during a different Video News program, the government and major media have too much at stake to allow such a discussion to reach the ears of the public. Matsuzawa, a vocal antismoking advocate in the government, said that the revised Health Promotion Bill will do nothing to curb secondhand smoke in public places. At the forefront of the movement to weaken regulations are commercial interests — restaurants, bars, cigarette retailers — who say their livelihoods will be ruined by smoking prohibitions. However, the real force behind the movement is the Finance Ministry, which holds one-third of the stock in Japan Tobacco Ltd. Corp. The public thinks that the company, formerly a government organ, was privatized in the ’80s, but Japan Tobacco is still dependent on the Finance Ministry, which regulates tobacco farmers, buys all their produce and controls all cigarette distribution, even that of imported brands. The Finance Ministry earns up to ¥70 billion a year in dividends. More importantly, the tobacco tax is used to keep local governments in line because they rely on handouts from the tax. 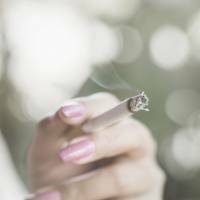 Anyone who has read foreign coverage of Japan’s smoking issue knows this, because practically every article mentions the Japan Tobacco stock connection. But as Matsuzawa points out, the Japanese media outlets don’t. More significantly, Japan Tobacco still buys ads from publications and broadcasters. It’s not allowed to mention cigarette brands, but the content isn’t important (though Japan Tobacco currently pushes “heated tobacco” products because, among other things, they’re perceived to be safer). What’s important is that media outlets depend on them for revenue and so don’t report on matters that might bother Japan Tobacco. For his efforts, Matsuzawa says he has received death threats from criminal groups with ties to leisure industries. The government ignores his plight because supporting him would hurt their interests.